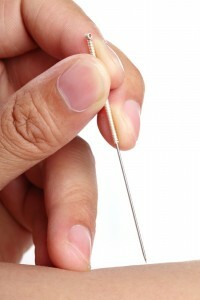 Acupuncture is a system of healing that has been practiced in China for over 2500 years. Acupuncture is a form of therapy in which fine disposable needles are inserted into specific points on the body call acupoints. According to traditional Chinese philosophy, our health is dependent on the body’s motivating energy – known as Qi – moving in a smooth and balanced way through a series of meridians (channels) beneath the skin. Qi consists of equal and opposite qualities – Yin and Yang – and when these become unbalanced, illness may result. ‘Acupoints’ lie on lines or channels in the body and are stimulated by the insertion of thin, fine needles at various points. The actions of each point and combinations of points, and their effectiveness in treating different diseases, have been learnt through clinical practice over many centuries. In recent years many of these actions have been refined and verified by modern scientific research. By inserting fine needles into the channels of energy, an acupuncturist can stimulate the body’s own healing response and help restore its natural balance. The flow of Qi can be disturbed by a number of factors. These include emotional states such as anxiety, stress, anger, fear or grief, poor nutrition, weather conditions, hereditary factors, infections, poisons and trauma. The principal aim of acupuncture in treating the whole person is to recover the equilibrium between the physical, emotional and spiritual aspects of the individual. What is involved in treatment using Acupuncture ? Each treatment consists of a number of fine needles being inserted into specific locations of your body for 15 to 30 minutes according to your symptoms. These bring about the changes in the body to restore health and vitality. How will I feel during and after treatment ? While acupuncture can be slightly painful to some, most people experience a feeling of peace and relaxation during the treatment. You should be fine to travel home alone afterwards. If you are in any doubt, you could take a friend with you on your first visit. Research by the BBC in 2006 showed good results for arthritis treated by acupuncture MRI scans showed that the brain’s limbic system changed after needles were put in.